I had the chance to visit my alma mater yesterday, a place that I called home for four years. But I knew that eventually, I had to graduate and move on. I couldn’t stay there forever, even though I really loved being a student. And every high school student can attest to the fact that no matter how much they liked or hated high school, there was always a point that they knew that the high school life was only temporary. There’s always a point in our lives where we wonder “Is this all that there is? Isn’t there more to life?” I know that it’s something a lot of motivational speakers and self-help writers say. But it is a question we all ask. It’s why people wonder if there’s life on other planets. It’s why we try and gain new experiences. It’s why we try to find satisfaction in things that ultimately can’t satisfy us in the long run. We were created for Heaven, but we were given life on Earth as a preparation. Why we’re not in Heaven in the first place is a mystery. It’s kind of like The Wizard of Oz. We are put into this strange world with the desire to find home and we learn a lot about ourselves along the way. And what some don’t realize is that everyone has the opportunity to have a personal relationship with God, just like how Dorothy didn’t realize that her red slippers were her key home all along. Having a personal relationship with God comes from following God’s will. However, following God’s will isn’t a cure-all, nor is it easy. Finding home never is. In his reflection, Fr. Barron says that a lot of saints go through a period of “extremes” to try and imitate Christ’s 40 days in the desert. Sometimes, though, God puts these saints through an extreme period when they least expect it. While St. Ignatius of Loyola chose to spend a year in a cave, fasting and turning into Bigfoot, Mother Teresa had a period where she felt so far away from God and her faith was constantly put to the test. 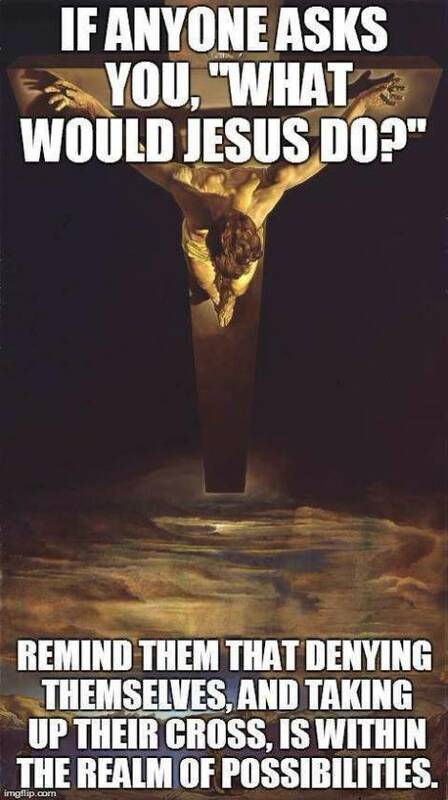 She called it the “Dark Night of the Soul,” taking inspiration from St. John of the Cross, and St. Teresa of Avila who both went through a similar trial. Fr. Barron also mentions the 30 Day Spiritual Exercises which, for those who don’t know, are a series of meditations that involve placing oneself within a certain event in the Gospels. It’s a very imaginative exercise and they can be pretty intense. However, for Soon-to-be-Saint John Paul II, he endured his own intense spiritual trial in the form of Parkinson’s disease. Sometimes we choose to push ourselves to the limit and other times, God pushes us. It all depends on the person. I’ve stated on this blog before that God doesn’t just think of the world as a whole, but he also thinks about every individual person and what each individual needs. Lent is not just a tradition for Christianity as a whole, but can also be a period of tests, trials, or great changes for each and every Christian. Only for Christians, it is a difference if we make it through Lent and come out a different person or not. But the good news is that because we are all brothers and sisters in Christ, we are not alone. We carry each other as we carry our individual crosses. We are all living on a prayer, but it’s not a bad thing. So now that we’re almost halfway there, tell me how Lent has been going for you? What have you learned about yourself or about what it means to be a Christian? Fr. Robert Barron’s Lenten Reflection talks about keeping Christ at the center of our lives. Now that phrase “center of our lives” rings a bell. Why? Because there’s a song with that title, called “Center of My Life,” which is often sung at Mass. It’s actually based on Psalm 16. It’s interesting how little people really know about Psalms. Psalms are stereotyped as “praise and worship” prayers, when in reality, Psalms are actually lyrics to a variety of songs, songs that fit whatever emotions we may feel. One of my favorite books is God, I Have Issues: 50 Ways to Pray No Matter How You Feel. Even if you don’t feel like praying, there’s a prayer for that. The chapters are listed in order of emotions and each emotion lists some Scripture suggestions. There’s a Psalm listed for almost every emotion in this book. To demonstrate, I will take this idea from Tumblr: What if the Psalms had GIFs? NOTE: IF YOU HAVE EPILEPSY, PLEASE STOP READING! GIFs CAN TRIGGER EPILEPSY! “Have mercy on me, God, in your kindness. So the next time you want to pray, pick a Psalm that you feel relates to what you’re going through. Pray it. And if you like it, google “Liturgy of the Hours.” It’s a really cool form of prayer that uses the Psalms (along with other prayers and Scripture readings) as prayers during different times of the day. Fr Robert Barron’s Lenten Reflection talks about how humanity is spiritually broken and that everyone is in need of help. Today, I had a short conversation with my mother about autism and after thinking things over, I decided to make that the topic of this post. WARNING: LONG POST IS LONG! Around 6th grade, I was taken out of class to take a series of tests. I didn’t understand what was going on, but given that I liked taking quizzes in teen magazines at the time, I thought I was taking some kind of elaborate personality test. Fast forward to my sophomore year of high school. One of my classmates did a report on Asperger’s Syndrome. As she presented her report to the class, all of the symptoms she listed started to ring bells for me. Although my teacher cautioned me against self-diagnosis, I asked my parents as soon as I got home. And it turns out that I was diagnosed with Asperger’s back in 6th grade. For those who don’t know, Asperger’s Syndrome is part of the Autistic Spectrum. What makes Asperger’s Syndrome different from other variations of autism is that Asperger’s Syndrome (or AS for short) is a lot more high-functioning. Social interaction tends to be physically exhausting; non-verbal signals are hard to pick up. The thought process of an Aspie (one who has AS) tends to be logical and literal, even when things aren’t logical or literal. However, that does not mean that Aspies don’t understand sarcasm, metaphor, analogy, or satire. Heck, my own thought process relishes on making analogies. Taking things literally is just the default mode for Aspies. Here’s an example from my personal experience: One time, I went to dinner and found that there was no place set for me. I saw my lack of place seating as a sign that I was left out from the dinner. That wasn’t the case, but that was my thought process at the time. Another aspect of Aspies is that aspies are said to lack empathy. THIS DOES NOT MEAN THAT PEOPLE WITH ASPERGER’S ARE SOCIOPATHS. THE MEDIA’S SPECULATION ABOUT THE SANDY HOOK ELEMENTARY SHOOTER IS JUST THAT: SPECULATION! Aspies just assume that everyone feels the same way they feel and when something contradicts the Aspie’s perspective, it’s hard for the Aspie to adjust. Think of it like this: An Aspie’s brain is like a script that he wants to follow to the letter. Non-Aspies tend to improvise with the script, which throws the Aspie off balance because he prefers to go with what the script is saying. Aspies also have problems showing their emotions. It’s sort of extreme. They either have the best poker face in the world or they make over-the-top expressions and say what they feel outright like a drama queen. Another trait that Aspies are said to have is an “obsession” with something, which is another way of saying that they know a lot about something obscure or some kind of hobby. That fixation does not become the only obsession and for some Aspies, the object of their fixation tends to change over time. I have a lot of things that I am interested in, but one thing consistent from 6th grade to now is that I always wrote about whatever I loved and sometimes tried to analyze what I observed. Words, writing, making connections, and analyzing are my obsessions. Even though I don’t read books as often as I did as a kid, I still find myself analyzing things I watch or read and watching other people analyze a work. And like some Aspies, the things I obsess over have changed. As a 6th grader, I obsessed over Japanese anime. In high school, I obsessed over Jane Austen. As of right now, my latest obsession is Buffy the Vampire Slayer. But underneath all of these obsessions was still the desire to write about them, make connections, and analyze them. There are physical “tells” as well as social “tells” to Aspies. Speech issues are one of those “tells.” How an Aspie talks depends on the person. I tend to speak too loudly and tend to talk fast. Other Aspies are overly formal or have a monotone voice. Again, a desire to be over-the-top to compensate for lack of social fluidity can happen here. One other thing that falls into this category is the tendency to explain what they’re trying to express. For me, this comes in the form of me constantly apologizing for my behavior if I find it to be out of the norm or awkward. Some Aspies have problems with motion and motor control. It’s one of the reasons why I don’t play video games. My hand-eye coordination isn’t geared towards that. However, I took dance classes and I don’t recall being overly clumsy as a teenager, nothing beyond the norm anyhow. However, it could be a lot worse for other Aspies. But the point is that as far as I’m concerned, I am still struggling with my autism. It’s a lot better than it was back when I was a kid, but my conversation with my mom made me realize that I am still trying to figure out which parts of me belong to the autism and which ones don’t. I refuse to define myself with a label, but that doesn’t mean rejecting my diagnosis. For those who are reading this who don’t have autism, I will say this: Don’t diagnose or label people who you see behaving awkwardly or strangely. Wait for that person to be open about it if they so choose to. And if they don’t say anything, just treat them like you would any other normal person, If you think you autism but aren’t properly diagnosed, find a psychiatrist and undergo testing. Don’t diagnose yourself. It’s a very dangerous thing. Nostalgia is a very weird thing. What’s nostalgic for some may not be nostalgic for others. For example, people who grew up in the 80s fondly remember the song “Take On Me” and the iconic music video that went with the song. However, I was born in 1990, so I don’t have any real memories of hearing that song as a kid or seeing the music video. However, if you ask me if I recall the theme song to Sailor Moon, I can pretty much sing it by heart. Also, I was too young for the target audience of Buffy the Vampire Slayer, and yet my afternoons as a kid still revolved around a blonde teenage girl from California…she just lived in Beverly Hills and went by the name of Cher Horowitz. Yep, I watched Clueless the TV series. As well as Sabrina the Teenage Witch. What prompted this trip down memory lane? Nostalgia Critic’s video about the Disney Afternoon. Unfortunately, as much as I loved watching this guy’s reviews I had no nostalgic recollection of coming home after school to watch the Disney Afternoon. Whenever I came home from school, I would usually do my homework first. However, I did remember One Saturday Morning, which was something that Critic mentioned. No, my childhood at the time consisted of a mix of Fox Kids (to watch Power Rangers), Nickelodeon’s shows, and Toonami. Fr. Robert Barron’s Lenten Reflection talks about what we take with us when we die. This brings me to the funniest thing about nostalgia: hindsight. The word “nostalgia” implies yearning, a longing for something happy from the past. But sometimes, hindsight removes that filter we put around our nostalgic memories and makes us see them for what they really are. For example, when I was a kid, I used to watch Beast Wars. When I found it on Netflix, I was super excited to watch it again…but it wasn’t as cool as I remembered it. The show overall was hammy and sometimes the dialogue was seriously laughable. But it still holds up okay. That same hindsight can apply to our past actions. Are there parts of our lives we look back on with more fondness than we ought to? I mean, there are people out there making movies about how nostalgia can turn into a nightmare. Sometimes the things from our past that seemed right at the time may not hold up now. In the end, we can’t even take our own memories with us. Although Fr. Robert Barron’s reflection for today talks about fasting, there’s a little loophole within Lent that says that fasting isn’t required on solemnities that take place during Lent. There are two solemnities that take place during Lent: The Solemnity of St. Joseph and The Solemnity of the Annunciation. I know that Catholicism is infamous for being against contraception, abortion, female priests, etc, but seriously. 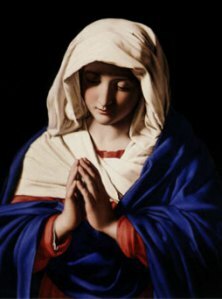 How can you say that the Catholic Church is anti-women when the Church has Mary! Now I understand that the idea of being devoted to Mary is a little crazy. I’m still trying to get my head around it. However, I will say that it is NOT worshiping Mary. It’s more like this: think about your favorite supporting character from a book, TV show, or film. That character sometimes has as many fans as the main character of a work if not more. It doesn’t take away the main character’s importance, but you feel like that story wouldn’t be the same without that particular supporting character. What would Star Wars be without Han Solo or Star Trek without Spock? Mary is the same way. She is the most loved supporting character in the Gospel, at least when it comes to Catholicism. She may not have played a large role in Jesus’s ministry, but she had an important role from Jesus’s conception to adulthood. She and Joseph were given the responsibility to raise Jesus and represent the kind of people He would serve when He grew up. It’s kind of funny that the people who were chosen to be Jesus’s parents were the quiet, humble types. Stories nowadays love loud, brash, take-charge heroes. And yet, here’s Mary in all of her simplicity and she becomes the mother of the Savior. Now I’m NOT gonna go into speculation on Mary’s background, age, or the numerous apparitions attributed to her. Instead, I want you to listen to this song from Danielle Rose. Mary had a choice. And she said “Yes.” Whatever you might think about Catholicism and how Mary is seen, be glad that she said “Yes” and chose to let God conceive Jesus within her. Don’t be afraid to say “Yes” to whatever God is asking of you. Let God’s will be done and marvel at how awesome things will be. Sorry for not posting yesterday. Fr. Robert Barron’s reflection that day was about how Sunday is seen in the Catholic Church. I was kind of having an off day yesterday. Today, Fr. Robert Barron talks about finding a special place to pray. Both of these ideas could relate to the concept of rediscovery when we go somewhere different. Now look at the title of this post. What exactly happened on March 24th that’s so special? For those who are old enough, I want you to tell me what this song makes you think about. 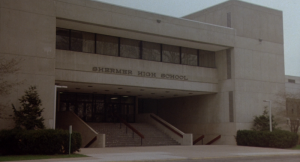 If you did, then you should remember that on March 24th, 1984, a brain, a jock, a princess, a basketcase, and a criminal spent Saturday detention at Shermer High School. And even though we don’t know what happened to them come Monday morning, The Breakfast Club has changed the culture and created the teen flick genre for the next generation. Even though three of the kids are in uniform, you can see the delinquent, the brain, the jock, the cute girl, the weirdo, and even the stern teacher clearly. Think about this for a minute. Last time, I talked about how no two saints in Heaven are alike and that it’s a good idea to have friends who make us better people. My personal theory about what happened at the end of The Breakfast Club is that it wasn’t easy for the five teens to uphold their friendship. But they all made an effort to stay together. By the time the five of them graduated, Brian and Allison hooked up, Bender helped Brian pass wood shop, and they all decide to go to college as far from Shermer as they could. Don’t you forget about The Breakfast Club. Here’s something I bet you never thought about: YOU are called to become a saint! Ever heard of St. Gianna? 20th Century saint (as in born in the 1900s) who lived a life as a mother and doctor who decided to have her 4th child in spite of the fact that it could possibly kill her. (Pro-Life feminist FTW!) Or St. Pier Giorgio Frassati, a man who never married but spent his life taking care of the poor who lived in his town with his parents having no idea about what he was doing aside from the fact that he spent a lot of time in prayer. “How the heck can I become a saint?” you ask. It starts with being yourself. God isn’t asking you to be exactly like any of the saints you may have heard about, but you can learn more about the saints this Lent and figure out who you find yourself relating to. However, I want to challenge you to find a saint that’s the complete opposite of you and find out what you can learn from them. Here’s an example from me. My top 5 saints (in no particular order) are: St. Monica, St. Therese, St. Thomas Aquinas, Venerable Archbishop Fulton Sheen, and St. Joan of Arc. Like St. Monica, I’ve had my share of bad relationships. Like St. Therese, I prefer a simple life and have a great inner life. But as far as the other 3 saints are concerned, they all have something I wish I had in myself. I love St. Thomas Aquinas’s intellect and would give my pinkie toe to spend a day with him, talking about the Summa. Also, St. Thomas Aquinas was the one who wrote my favorite Latin song, the Tantum Ergo. Venerable Fulton Sheen brought Catholicism to the mainstream media through his TV show and I want to do what he did someday. And I long for St. Joan’s courage to stand up for my faith. The closest thing I got to being like St. Joan of Arc was acting as her in a monologue for a college drama class. And if the idea of sainthood still intimidates you, you’re not alone. Listen to Danielle Rose’s “The Saint that is Just Me.” Danielle Rose, a Catholic singer, discerned religious life for a while, but after spending a few years in the convent, she learned that it wasn’t her calling. She now works in an orphanage in China, but she also has an album out, which you can check out at her website. tl;dr: Be holy and sainthood will follow eventually. This post will be short due to me procrastinating on this post until the last minute. I ask instead that you look at Fr. Robert Barron’s Lenten Reflection and this meme and think about what it means to deny yourself. But what does friendship have to do with Lent or soul-related makeovers? However, it doesn’t mean that you have to always fall in love with your best friend. The best friendships don’t need to cross that line because there is no need for a line at all. Friendship can just exist as it is.as in the case of Sarah Kay and Phil Kaye. When it comes to friendships and faith, we want to have friends who are either as holy as we are or holier than we are. Rachel and Kateri‘s latest video says that friends should make us want to be better people, friends who lift us up and are good influences on us. If you watch Rachel and Kateri’s vid, you’ll notice that three out of the four saint-friendships they mentioned are a male-female pairing. So, Sarah and Phil, on the very bizarre chance that you are reading this blog post, you are not alone in your very awesome platonic friendship. So yes, When Harry Met Sally, men and women can be just friends without falling in love with each other. Through a genuine, selfless, loving friendship, we can all make over our souls and become better people. And that’s the best kind of friendship to have. I’ll leave you with a quote from my friend Laura Forbes, poet and advocate for epilepsy, who has this to say about friendship. …In life we are a part of each other and if we forget that, we are lost. That is what creates peace and love in this world is knowing we are part of each other having faith in one another.